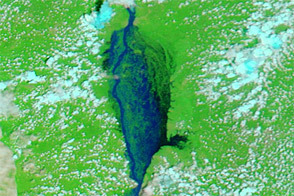 Between July and October 2012, flooding in Nigeria pushed rivers over their banks and submerged hundreds of thousands of acres of farmland. By mid-October, floods had forced 1.3 million people from their homes and claimed 431 lives, according to Nigeria’s National Emergency Management Agency. 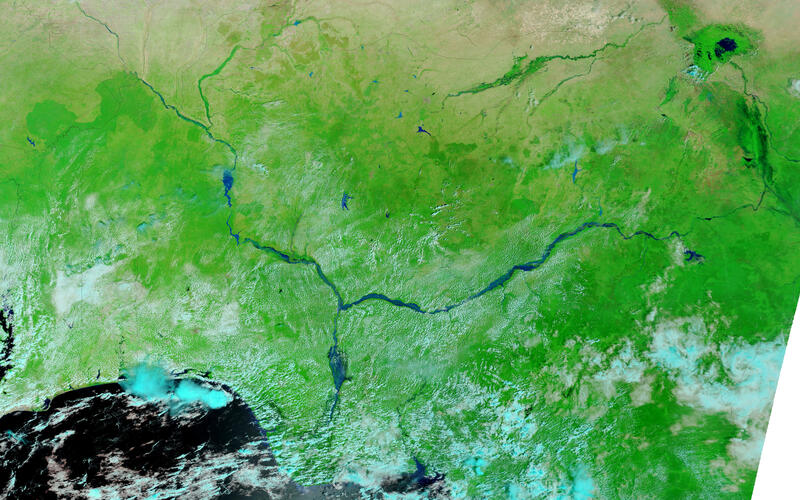 The Benue and Niger Rivers converge in southern Nigeria, and from there the Niger flows south toward the sea. 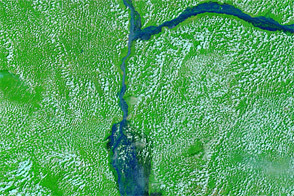 The Moderate Resolution Imaging Spectroradiometer (MODIS) on NASA’s Terra satellite captured these images of the confluence of the Niger and Benue Rivers on October 13, 2012 (top), and October 20, 2008 (bottom). 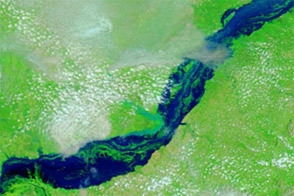 The images use a combination of visible and infrared light to better distinguish between water and land. Water ranges in color from electric blue to navy. Lighter shades of blue can indicate shallower depths or heavier loads of sediment. 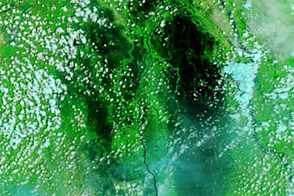 Vegetation is bright green, and clouds appear in shades of pale blue-green. 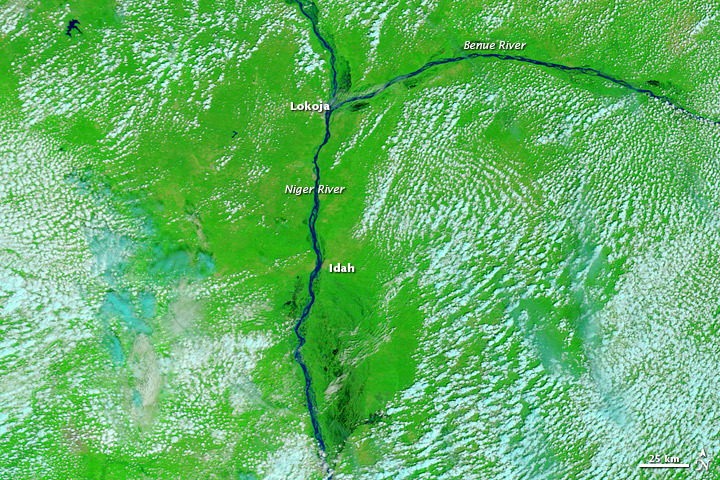 In 2008, a fairly typical year, both the Niger and Benue were thin rivers flowing though braided channels, with isolated water bodies dotting the floodplains. Four years later, both rivers had burst their banks, engulfing the small lakes and ponds. 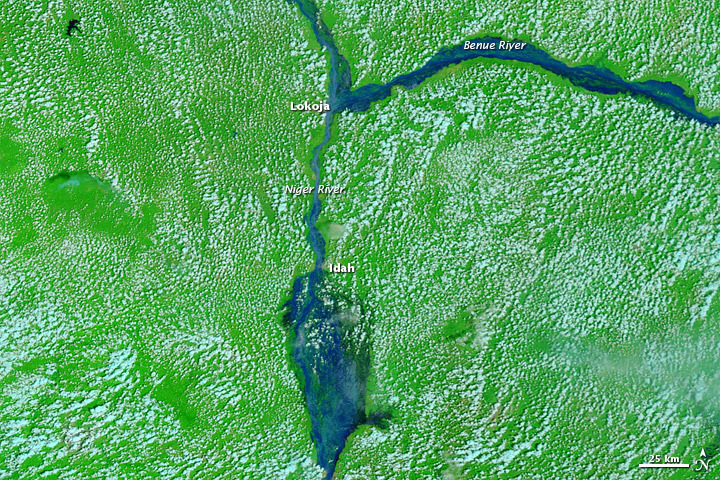 South of Idah, the Niger River ballooned into a sprawling temporary lake. Flash floods are common in Nigeria in the rainy season (May to September), but news reports characterized this year’s floods as the worst in more than 40 years. The Nigerian Red Cross reported about 120,000 people had been left homeless. Thousands of displaced residents had to flee temporary shelters as the floods overwhelmed those refugee camps as well. Nigeria was not alone in coping with floods in 2012; floods had affected several other countries in west and central Africa by mid-September. Besides destroying buildings and lives, the floods ravaged crops and severed transportation routes throughout the country. The United Nations Integrated Regional Information Networks reported that many farmers had lost everything, and news sources gave mixed reports on how the floods might affect food security. The Nigerian Minister of Agriculture and Rural Development sought to reassure residents that the floods would not lead to a food crisis, and described the seed stocks of fast-maturing grains that had already been secured for Nigerian farmers. Other reports, however, documented fast-rising prices of basic foodstuffs and supplies such as kerosene. 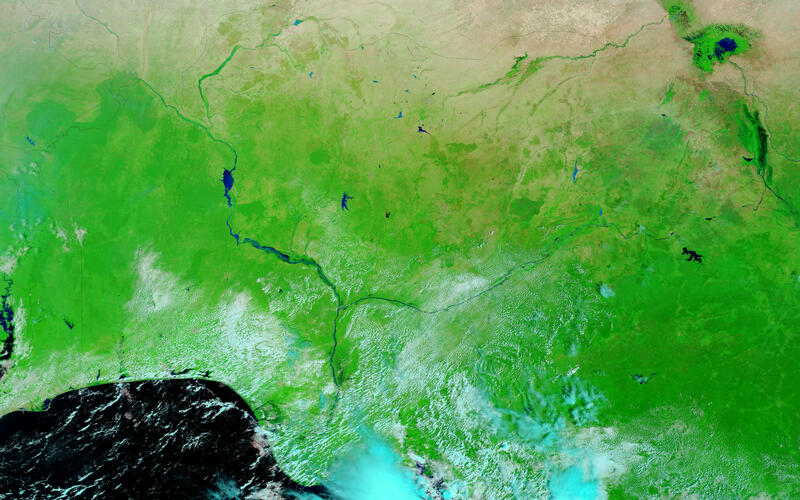 Satellite images show stark changes around the confluence of the Niger and Benue Rivers, in a region where more than a million people have been displaced in 2012. Flooding affected multiple countries in western and central Africa from July through October 2012. Hassan, A. (2012, October 14) Nigeria: Floods – Country shall not have food crises or famine – minister. AllAfrica. Accessed October 15, 2012. Integrated Regional Information Networks. (2012, October 10) Worst flooding in decades. ReliefWeb. Accessed October 15, 2012. Ogundele, B. (2012, October 14) “Post-flood disasters will be greatest humanitarian crisis after civil war” as flood sacks more rivers’ communities. Nigerian Tribune. Accessed October 15, 2012. Okere, R. (2012, October 15) Flood, high levy on rice trigger fears of food crisis. The Guardian, Nigeria. Accessed October 15, 2012. 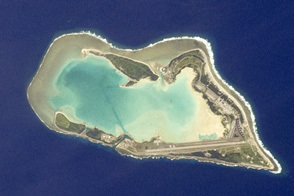 U.N. Office for the Coordination of Humanitarian Affairs. 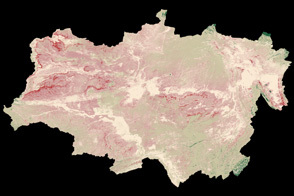 (2012, September 17) West and Central Africa – Flood Impact Profile As of 17 September 2012. ReliefWeb. Accessed October 15, 2012.